The rapid adoption of the 802.11ac standard amongst high-end mobile devices is creating a need for high-performance routers to service that extra potential. After all, what's the point of having an AC-capable device, such as a flagship smartphone, tablet or ultrabook, if the router can only supply it with N speeds? That's where today's showpiece, the ASUS DSL-AC68U router, comes into play. 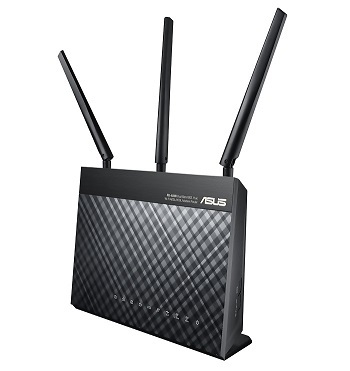 Those with a sharp memory will remember that late last year we examined the ASUS RT-AC68U and the DSL version is effectively the same router but with a notable difference; built into the design is a fully-fledged ADSL(2+) and VDSL modem. For UK-based readers this means the ability to ditch BT modem boxes and opt for an all-in-one solution. That aside it still retains the same core specification as its predecessor, though it has since been superceded by the rather monstrous RT-AC87U. 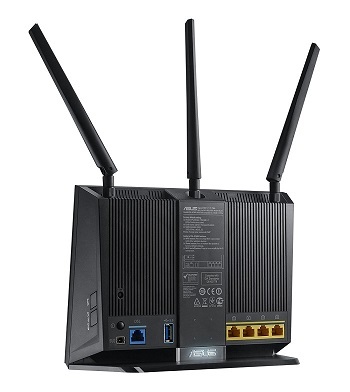 The DSL-AC68U deploys three external antennae boasting up to 1.3Gbps on the 5GHz AC band and up to 600Mbps on the 2.4GHz N band with the use of TurboQAM acceleration. For wired devices there are four gigabit LAN ports and for easy file-sharing a USB 3.0 port is present on the router to which USB flash drives and hard drives can be plugged into. Interestingly, the USB port can also be used for sharing a 3/4G signal from a dongle. 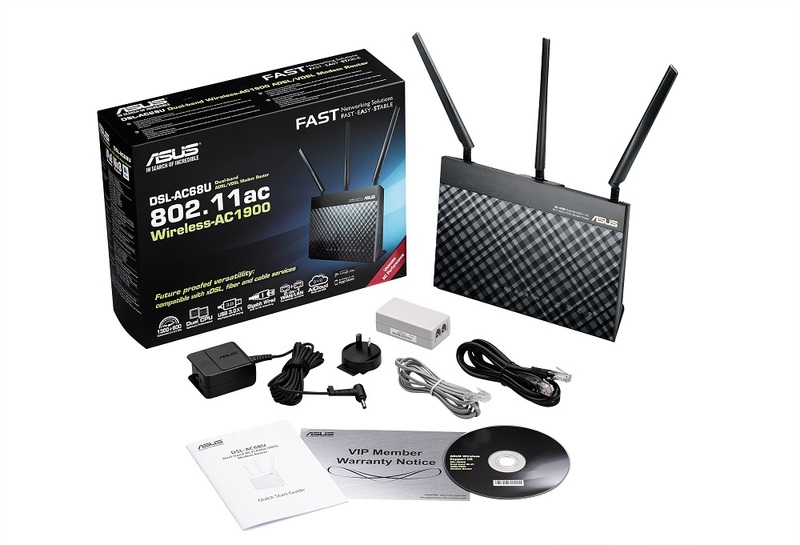 Internally the DSL-AC68U makes use of a dual-core ARM Cortex-A9 800MHz processor and 650MHz xDSL modem processor to speed-up router operations, 128MB of flash and 256MB of DDR3 add to the array. While the hardware is impressive on its own it is arguably the extensive range of features and impressive web-interface that make the DSL-AC68U so powerful, which we'll cover next.